Over 1600 tickets were sold and $28,000 was raised!! 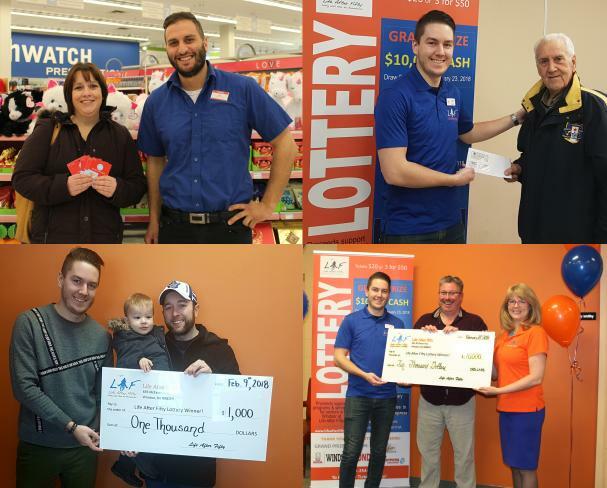 A BIG thank you to everyone who made the lottery a success! 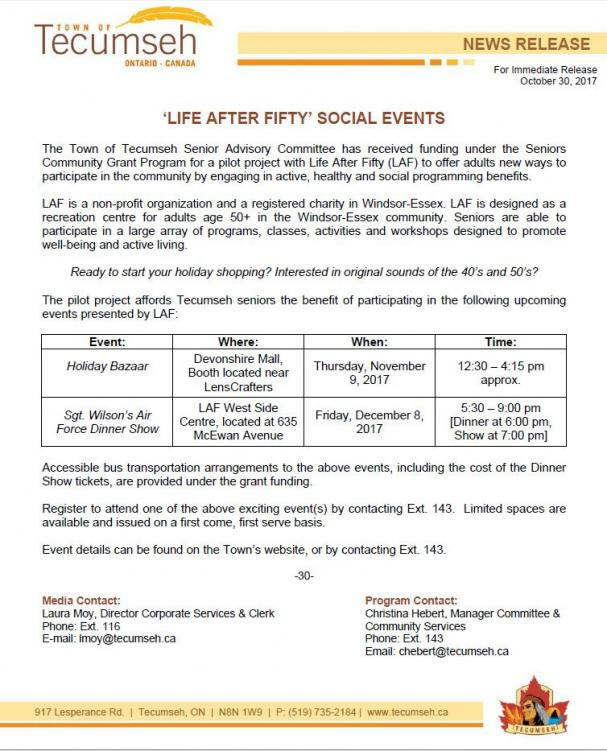 Community Grant Program for a pilot project with Life After Fifty (LAF) to offer adults new ways to participate in the community by engaging in active, healthy and social programming benefits. Holiday Bazaar Devonshire Mall, Thursday, November 9, 2017 12:30 – 4:15 pm approx. Accessible bus transportation arrangements to the above events, including the cost of the Dinner Show tickets, are provided under the grant funding. Register to attend one of the above exciting event(s) by contacting Ext. 143. Limited spaces are available and issued on a first come, first serve basis. Event details can be found on the Town’s website, or by contacting Ext. 143. Workshops are conducted monthly in 20 seniors designated apartment buildings in Windsor and Essex County. This program is funded through the United Way's Reducing Seniors' Isolation Strategy. This program is offered in partnership with the Windsor Essex Community Housing Corporation. What does Caesars and Cupcakes have in common? On Monday October 2nd, our Outreach Services had reason to celebrate! 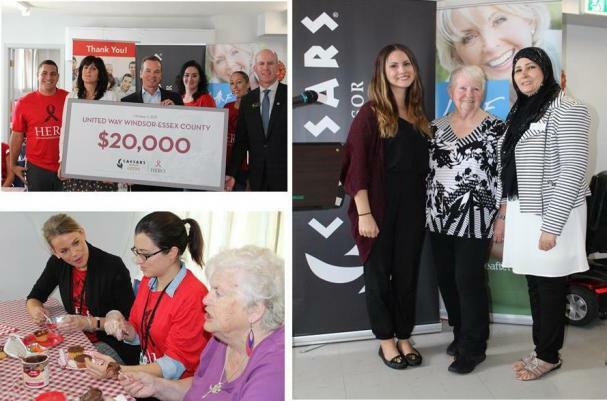 Caesars Windsor announced a corporate gift of $20,000 to the United Way Windsor-Essex during the Cupcake Social at the Raymond DesMarais Manor in Windsor. Caesars Windsor HERO volunteers joined in the fun and decorated cupcakes with the seniors who regularly attend the programs offered by Life After Fifty. LAF's Outreach Services are funded by the United Way. The Outreach Program is called "Promoting Seniors Independence". Both Tahira and Meghan provide colaboative outreach services to seniors in Windsor-Essex with the aim to reduce and prevent: social isolation, loss of support networks, physical mobility, and other health and mental health issues that seniors experience due to aging. Workshops offer an array of fun and interesting educational, recreational, physical and social activities. Our West End is a grassroots organization committed to making West Windsor a better place to live, work and play! This initiative is funded through the United Way's Neighbourhood Renewal Strategy. Life After Fifty is the host agency, and the Our West End (OWE) initiative is now officially a program of Life After Fifty. As a resident of Windsor's West End, LAF is proud to support the neighbourhood revitalization. We are currently working on our official website and you can always follow some of the great work we are doing in the community on Twitter and Facebook! Look for Open Streets, Farmers Market, Community Gardens and Mural Painting projects all helping to make the West End a better place to live, work, play and be a part of!